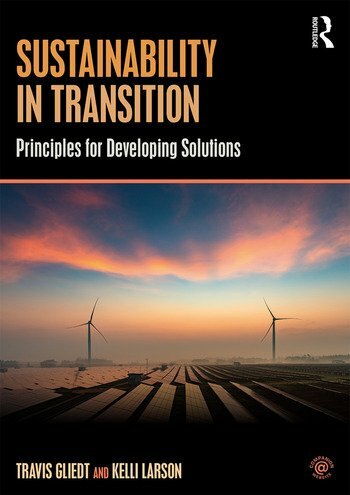 Sustainability in Transition: Principles for Developing Solutions offers the first in-depth education-focused treatment of how to address sustainability in a comprehensive manner. The textbook is structured as a learning-centered approach to walk students through the process of linking sustainable behavior and decision-making to green innovation systems and triple-bottom-line economic development practices, in order to achieve sustainable change in incremental to transformational ways. All chapters combine theory and practice with the help of global case study and research study examples to illustrate barriers and best practices. Each chapter begins with learning objectives and ends with a 'check on learning' section that ties the main points back to the core themes of the book. Chapters include a section focused on measuring progress and a box comparing international research or case studies to the North American focus of the chapter. A list of additional academic sources for students that complement each chapter is included. Building sustainability tools, techniques, and competencies cumulatively with the help of problem- and project-based learning modules, Sustainability in Transition: Principles for Developing Solutions is a comprehensive resource for learning sustainability theory and doing sustainability practice. It will be essential reading for advanced undergraduate and graduate level students who have already completed introductory sustainability classes. Travis Gliedt is an Assistant Professor of Geography and Environmental Sustainability at the University of Oklahoma, USA. Kelli Larson is an Associate Professor in the School of Sustainability and the School of Geographical Sciences and Urban Planning at Arizona State University, USA.